The Reporters’ Academy have been invited to be the official internal media team for the prestigious world class event – The Commonwealth Youth Games in Samoa. Throughout the Games The Reporters’ Academy team of young people and industry professionals will be creating the official films, interviews and articles that will capture the excitement and the successes of the Games. The media content produced will be used by TV channels, newspapers and radio stations across the world – to inform the people of the Commonwealth what’s happening in Samoa. 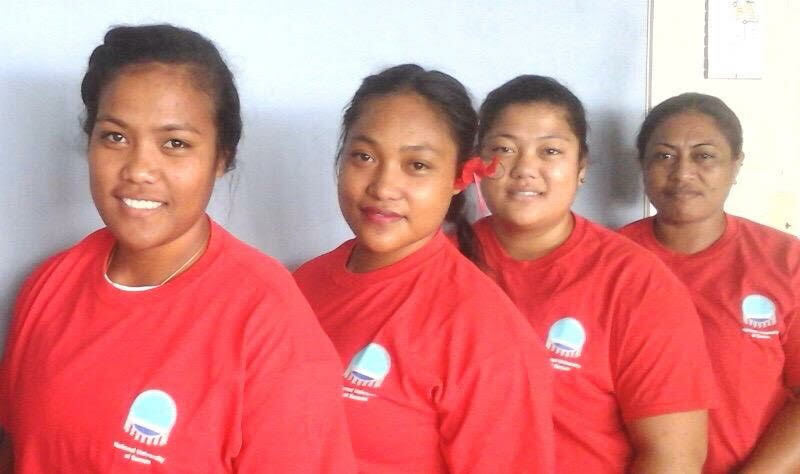 The international Reporters’ Academy HQ team have travelled to Samoa to lead the official Games media team, made up of 5 young Samoans and 5 Australian crew members. 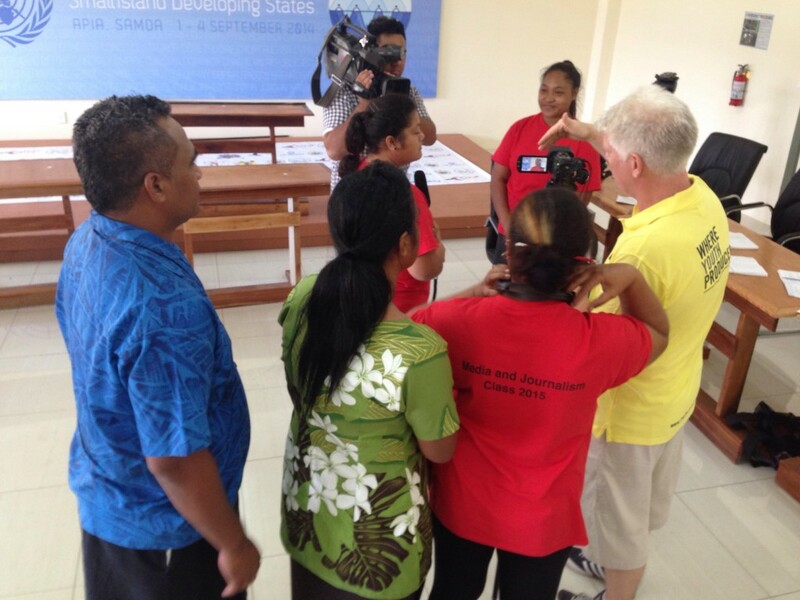 Samoan reporters in action in the Main Press Centre in Samoa. Below is advice for the youth team from an experienced crew member who provided coverage at the London 2012 Olympics and 2014 Commonwealth Games. “During games time you will be in the heart of the action. You are not only covering the event but also finding the untold story of the athlete’s. The access you get is second to none and this enables you to create exciting and fresh content. 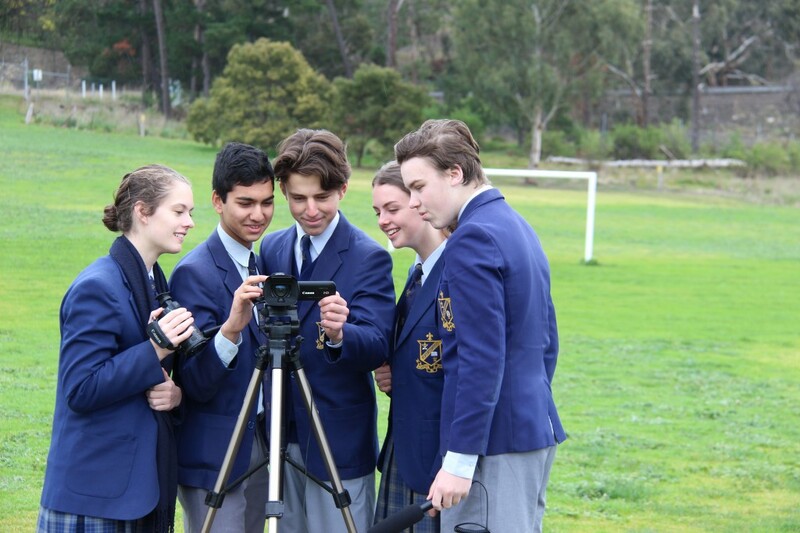 Photo of the Australian Reporters’ Academy students from Salesian College, Melbourne.